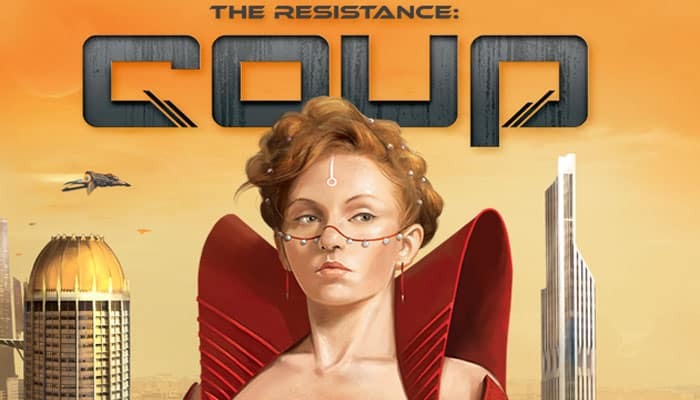 Coup is a bluffing and deduction card game where you are the head of a family in a corrupt Italian city-state. Your goal is to be the last player with influence. For this, you need to manipulate, backstab, bluff and bribe to destroy the power of the other families. 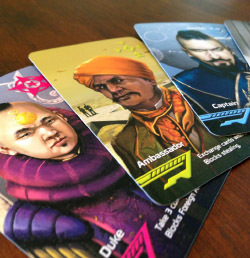 In Coup, you will need to read both the game state and the players at the table to determine what to do. You can play it safe, tell the truth most of the time, and use diplomacy to target the people, or lie and play unpredictably. Duke: Get 3 coins and block someone from taking foreign aid. Captain: Take 2 coins from someone, block someone from stealing coins from you. Ambassador: Draw 2 cards from the deck and decide to exchange them with your face-down characters. Block stealing coins from you. Assassin: Pay 3 coins to try assassinating another player's character. Contessa: Block an assassination attempt. The trick is that a player doesn't have to own the corresponding card. He can just bluf. The character's action succeeds unless an opponent challenges you. In that case, the chanllenged player have to be able to reveal the appropriate character. If he can't or don't want, then he lose an influence and he must turn one of his character cards face-up and this influence can't be used anymore. When both cards are face up, the player loses all his influence and he is out of the game. Note that bad challenges are costly. If the challanged player can reveal the character card, then you will lose one influence. The same is true for blocking actions. If a player chooses to block an action, then another player can challenge that block. The player must show that he has the correct card. Foreign aid: Get two coins from the treasury. 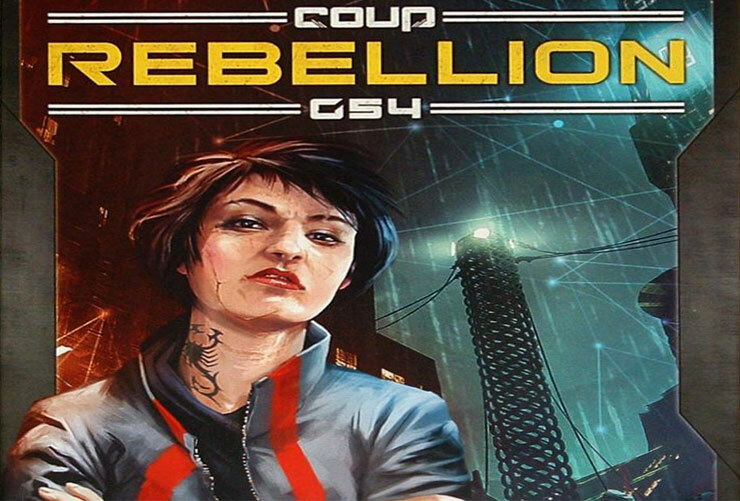 Coup: Pay 7 coins and start a coup against another player. To win the game is based on bluffing and deduction. The game rules are very easy to learn. 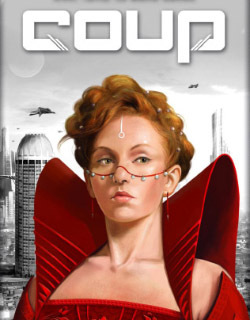 Coup can be played between 2 and 6 players (age 10+). The average games take between 10 and 15 minutes depending on the number of players. The game was originally published by La Mame Games, but currently by Indie Boards & Cards. Shuffle the cards and deal two to each player. Players should look at their cards but keep them hidden from everyone else. Each player takes two coind from the bank as their starting wealth. To be the only player with any influence cards left. There are five different characters in the influence deck (three copies of each character). Driven by their successes, the resistance has gained popular support and entire regions are in open rebellion. In a desperate attempt to stay in control, some government leaders are publically supporting the reforms demanded by the resistance. But allegiances are constantly shifting, and can be bought for the right price. The opportunity for intrigue and bluff has never been greater. The cost of failure couldn't be higher. 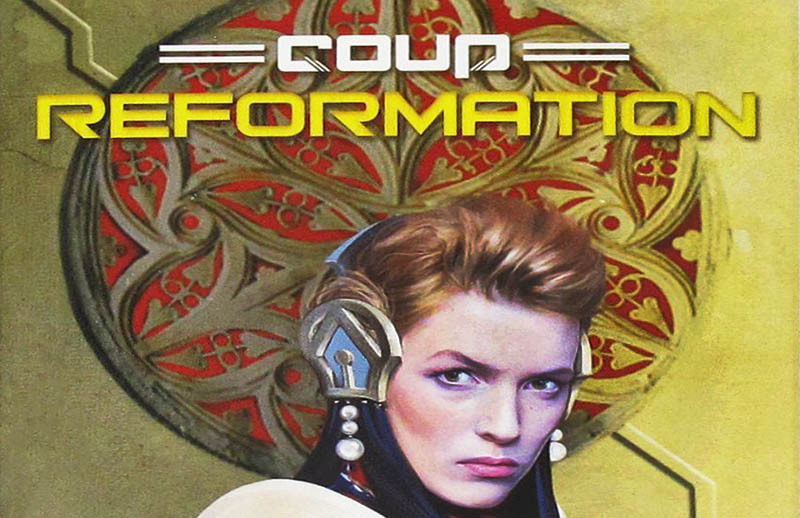 Even with talk of reformation, only one can survive.